Happy Tuesday. I am so excited for today. It is Show and Tell Tuesday with Andrea from Momfessionals and we are sharing our Christmas Decor. I have to admit. 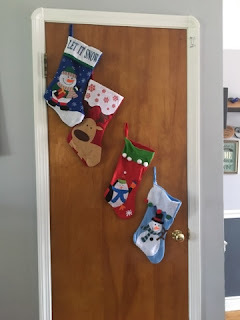 I am snoopy and love seeing inside other families homes and seeing their decor especially Christmas decorations. 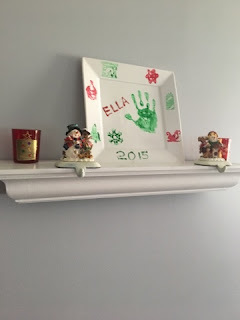 I get so many great ideas but then realize I have 2 kids, one who is a professional un-decorator. 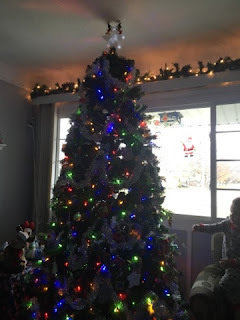 I would love to have a themed house and tree (like everything red and silver) but we have so many memories in our ornaments and decorations I would have to start fresh. I never see that happening realistically, well maybe one day when I have a huge house and have more than one tree and no little kids running around. One thing I wish our house had was a "welcoming" front door. 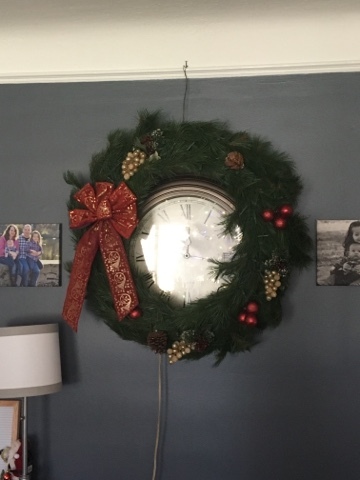 I normally do have a wreath on our door, but I haven't gotten around to making a Christmas one yet this year and I can't find the one I had last year. To say I have a Disney Obsession is an understatement. 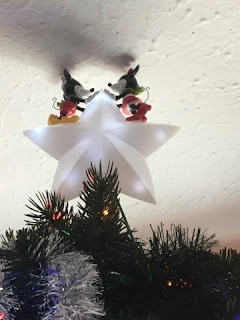 I love our tree topper that we got from the Disney Store the first Christmas we were in our house. We still have the tree skirt that Brian had before we got together. 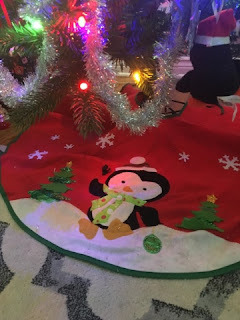 I keep trying to talk him into buying a Mickey and Minnie Tree skirt. It would go with out tree. 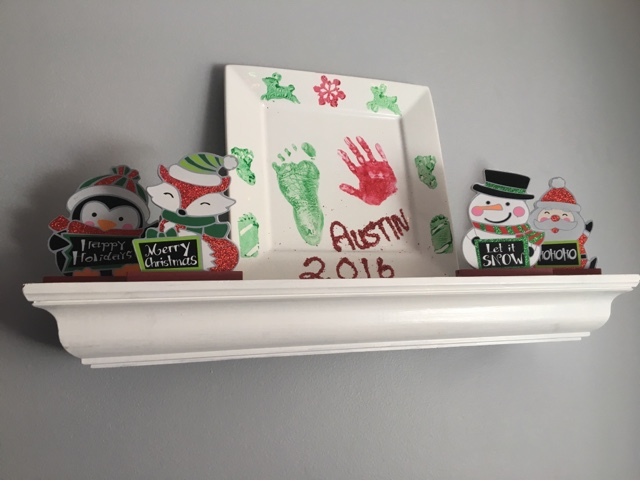 My mom surprised me with this plate last year from Austin. I love having flowers on our table. 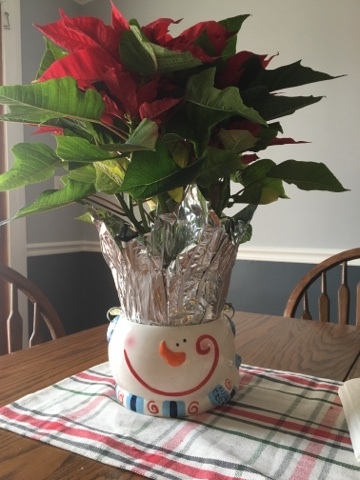 This year I put our poinsettia in a snowman candy jar. He looks cute. 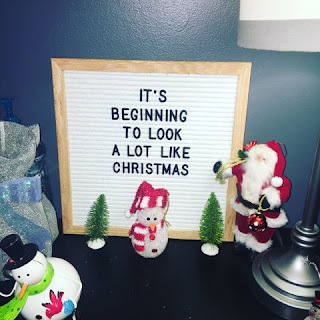 Hope you enjoyed the little tour of my holiday decorations. There is so much more I would love to do around my house. We will see what I decide to do. 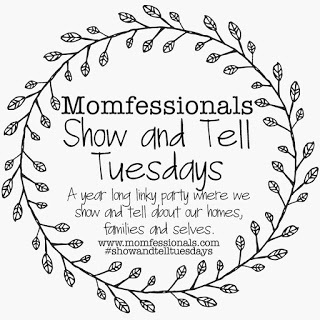 I am also linking up for Tuesday Talk.